Your HVAC unit works hard to keep you comfortable throughout the year. Let Creighton Laircey keep your heating and cooling system functioning at its best. Serving the greater Augusta, GA, area and CSRA, our skilled and friendly technicians provide professional, affordable services for your air conditioner and furnace. We started in 1972 with services for air conditioner (AC) installation, repair & maintenance; heating installation, repair & maintenance and plumbing install, repair & maintenance. Over the years, we have expanded our services to include other solutions for indoor comfort, including both furnace and water heater install, repair and maintenance. 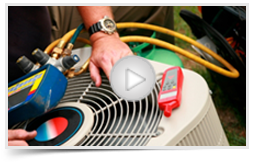 When you want the the best HVAC technicians in Augusta, choose Creighton Laircey Co. We specialize in both heater/furnace and air conditioning repair and maintenance services, and we serve both residential and commercial customers. We are committed to creating long-term relationships with our clients and our community by providing the highest quality without compromise. You can count on our team for prompt, affordable, and honest service. We believe your initial experience with our company will make you a life-long customer. Our experienced heating technicians are always ready to provide fast, affordable installation, repair and maintenance services for residential and commercial heating systems. All types of heating systems lose efficiency with aging, but proper maintenance helps ensure optimum function, longevity and protection against massive replacement costs. However, you get these advantages only when qualified and trained technicians check your systems. The repute of Creighton Laircey Co. is so superb that you can call us without hesitation and we will reach you regardless of whether your system/project is big or small. 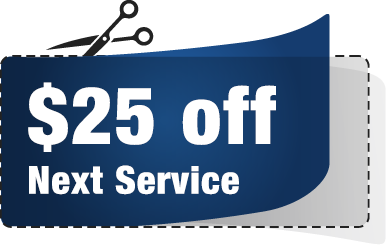 And we ensure you get the same quick, high quality service every time. We proudly serve clients throughout the greater Augusta, GA, area and CSRA, including Augusta, Evans, Martinez, Grovetown, and Hephzibah, GA, and North Augusta and Aiken, SC. Call the best HVAC contractor in Augusta today. We are a Carrier, Lennox, Mitsubishi, Daikin dealer.